Bangi Golf Resort is located midway between the KL International Airport in Sepang, Putrajaya and the KL City Centre, situated in the centre of Bandar Baru Bangi and is easily accessible from the PLUS, LDP, SKVE and SILK highways. 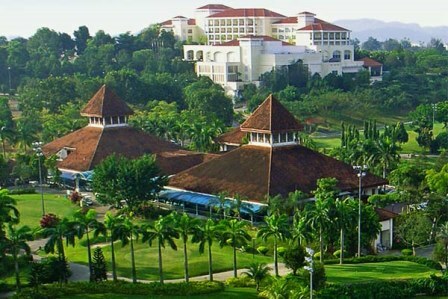 Crowned as the “knowledge city”, Bangi Golf Resort is situated in close proximity of many educational institutions such as Universiti Kebangsaan Malaysia and Universiti Putra Malaysia. Bangi Golf Resort offers a 36 Hole golf course designed by Famed Designer, Mr Ronald W. Fream, of the Golfplan-Ronald Fream Design Group and a Five-Star rated 256 Guestroom Hotel Bangi-Putrajaya resting on the highest peak in Bandar Baru Bangi.